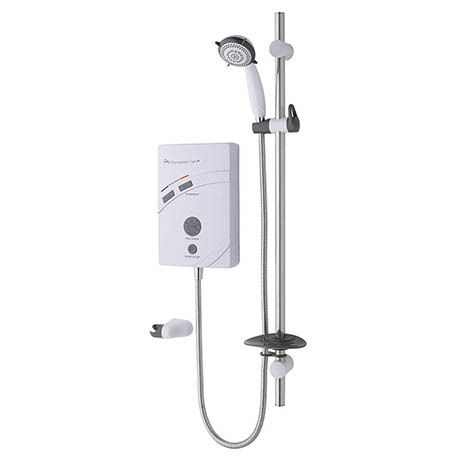 The Thermostatic Care QI electric showers are fully BEAB Care and RNIB Approved making it ideal for those who require more showering assistance and additional safety. The shower is packed with many safety features and benefits such as a large easy to read illuminated temperature display, maximum temperature lock for added safety, audible user feedback on push button commands and a double bleep indicator when the shower reaches maximum temperature. Comes supplied with an extended riser rail and hose and a wall mounted bracket that is ideal for use with a shower seat or wheelchair.